7,560 EMI starts from Rs 2,571 ? 6,560 EMI starts from Rs 2,231 ? Solar tubular Battery design as per IS 13369 & IEC 61427. 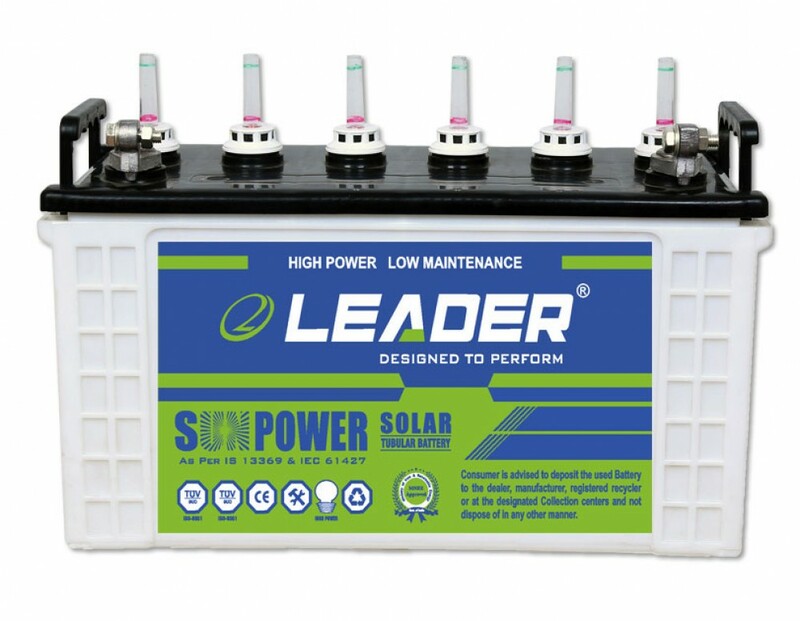 Designed for deep cyclic solar application available in 12V & 2V range. Consistent back up high charge acceptance due to usage of quality PE separator. Special additives for better charge acceptance & retention. Excellent Reserve Capacity in C10. Low Rate of Self Discharge. Special alloy grids ensure low gassing and minimum water loss. Low internal resistance, seal proof, leak proof. Float indicators for Electrolyte level. Factory Filled and initial charged, ready to install. Save fuel and provide Eco-friendly environment. Special design to make proper use of resources. Non-polluting and clean source of energy.